Expert in Paleontology Sculptures to Give Keynote Speech for SSA The title of Gary Staab’s presentation is “Digital Dinosaurs: Fleshing out the Past." Gary Staab in his studio in Kearney, Missouri with his sculpture of the Brachauchenius. 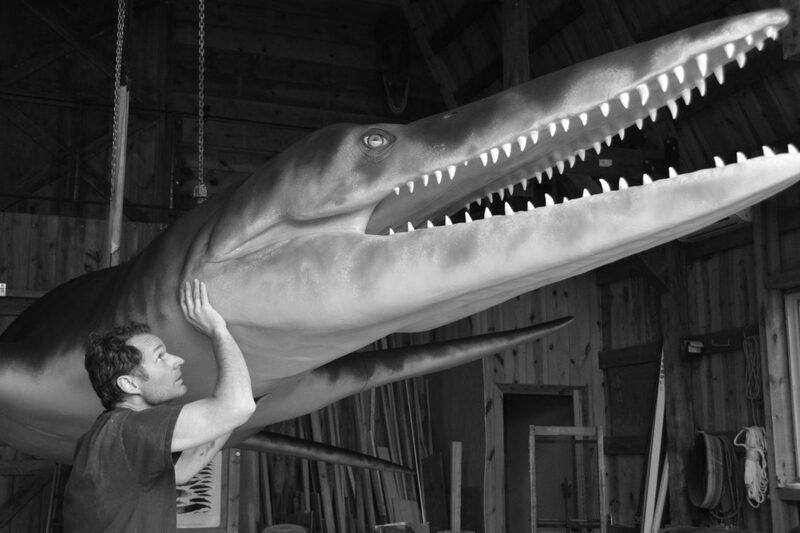 Gary Staab, freelance artist and an expert in paleontology sculptures, will give the keynote address for Washington and Lee University’s Science, Society and the Arts conference on March 16 in Evans Hall. The keynote luncheon will begin at noon, with remarks beginning at 1 p.m. The conference and luncheon are open to the W&L community, but space is limited and registration is required to attend the lunch and Staab’s talk (https://www.wlu.edu/ssa/keynote). Staab’s work has captured the Society of Vertebrate Paleontology’s Lanzendorf-National Geographic PaleoArt Prizefour times, and his projects have appeared in over 30 different museums across the world. Visitors to the Indianapolis Children’s Museum will note one of Staab’s largest sculptures, a 75-foot-long, 50-foot-tall Brachiosaurus, peeking through the museum’s glass walls. His more recent work includes a replica of Ötzi, the 5,000-year old “Iceman” discovered on the Italy-Austria border. This work was commissioned by the Dolan DNA Learning Center and is documented in a NOVA special, “Iceman Reborn.” In addition to his freelance work, Staab is a research associate with the Denver Museum of Nature & Science, as well as an honorary affiliate faculty at Idaho State University. 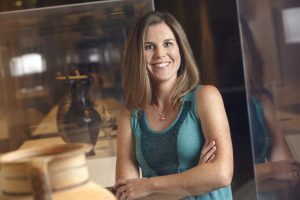 A graduate of Hastings College, Staab completed a flexible degree program that combined practical museum experience with studies in art and biology. W&L’s Science, Society and the Arts is a multi-disciplinary conference involving undergraduate and law students in the presentation of their academic achievements before an audience of their peers and the faculty. Conference participants share their work via oral presentations, traditional academic-conference-style panels, poster sessions, artistic shows or creative performances. The 2019 conference will be held March 15 and 16. Original work is presented as part of one of many panels, as a poster at one of the four sessions, as a performance of dance, theater or music, or as a display of visual art such as drawings, painting or photography. Additionally, students, faculty and staff can take part in one of 25-plus book and film colloquia. Find a complete schedule of the 2019 SSA conference here.